CPC-CBT, Combined Parent-Child Cognitive Behavioral Therapy is designed to address the needs of children and families at-risk for child physical abuse. More than thousand families in Sweden have received this treatment by over a hundred trained professionals, but there is still a need to disseminate the model to all regions in Sweden. 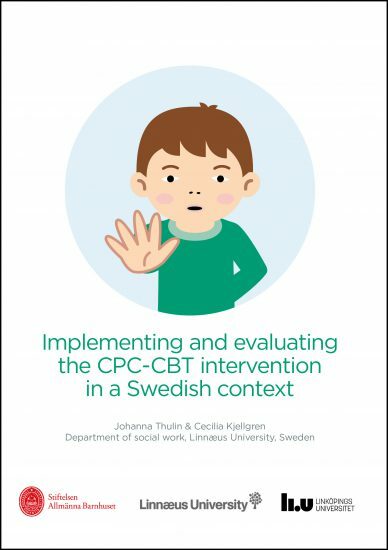 This report is part of an ongoing evaluation of CPC-CBT in Sweden. Children and parents responded to self-assessment scales and interviews. The overall findings are promising, similar to previous U.S. results. Authors: Cecilia Kjellgren & Johanna Thulin, Department of social work, Linnæus University, Sweden.